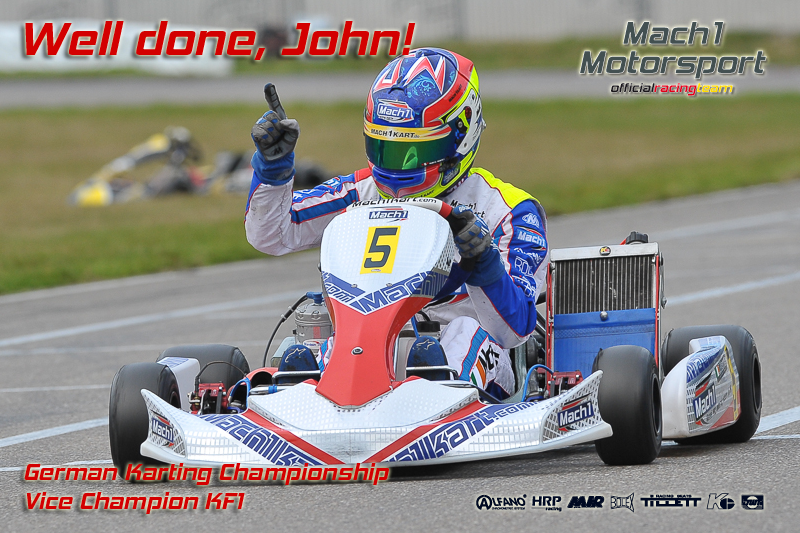 Mach1 Motorsport experienced a perfect season ending of the German Kart Championship in Belgian Genk. 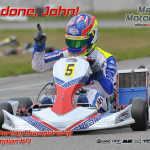 John Norris achieved a sensational double victory and thus secured the vice championship title in the first league of German kart racing. Lucas Speck (DKM) and Cedric Piro (DJKM) knew how to satisfy as well. 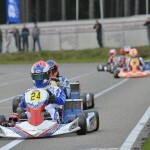 Lucas Speck started in the DKM as well. 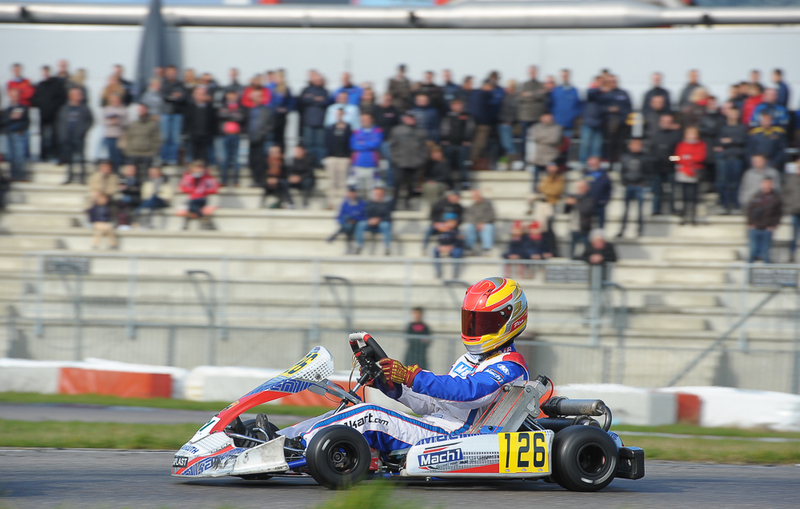 Having already achieved the ADAC Kart Masters title, he wanted to prove his talent in Genk as well and already showed a fast performance in the rain on Saturday. Unfortunately, a falling out during the second Heat caused him to fall back on 21st starting position for the first final race. During this, he fought his way forward to 16th position and additionally achieved 14th place during the second final. 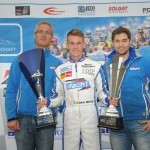 Therefore, Lucas ended up fifth-best German driver and just barely missed placing in the top ten by ending up on 11th position of the overall list of rankings. 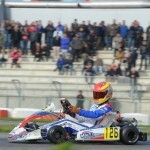 At the juniors, Cedric Piro experienced a turbulent racing weekend. 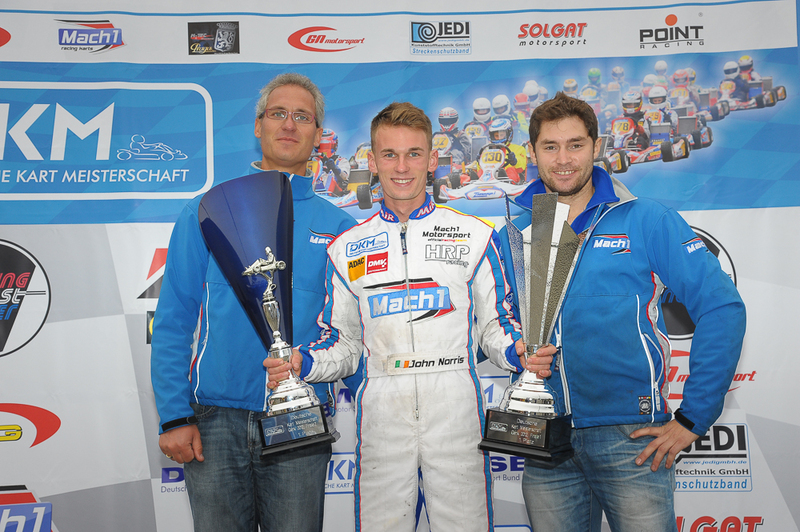 After the free trainings and qualifying, the mood in the Saarland citizen’s camp was still good. Cedric achieved a solid 11th place. A falling out in the first Heat turned the tide though. By coming in 12th during the second Heat, he was only on 29th place in the end and had to qualify for the finals at the repechage on Sunday morning. This started pretty tumultuously and Cedric only drove on 7th position in the beginning. During the course of the race he gained a couple of positions though and qualified himself for the final races by coming in 4th in the end. From the next-to-last starting row, he then fought his way forward as if he’d been unleashed. Throughout the 16 laps, Cedric passed one opponent after another and finally crossed the finish line on the great 11th place. He then did even better during the second final race – despite another starting accident Cedric managed to achieve 8th place. This was then also his position in the overall list of rankings. 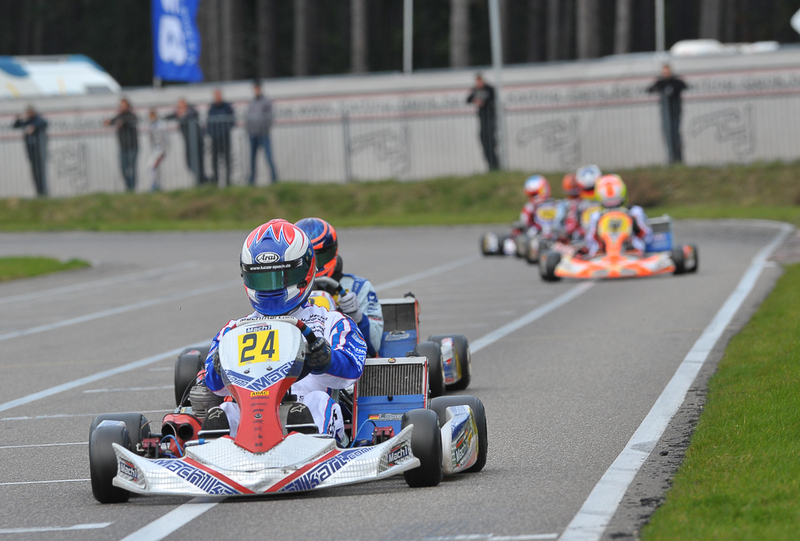 In three weeks, a very special race abroad will be on the German manufacturer’s calendar: The team from Swabia will be travelling to Bahrain for the finale of the U18 World Championship.